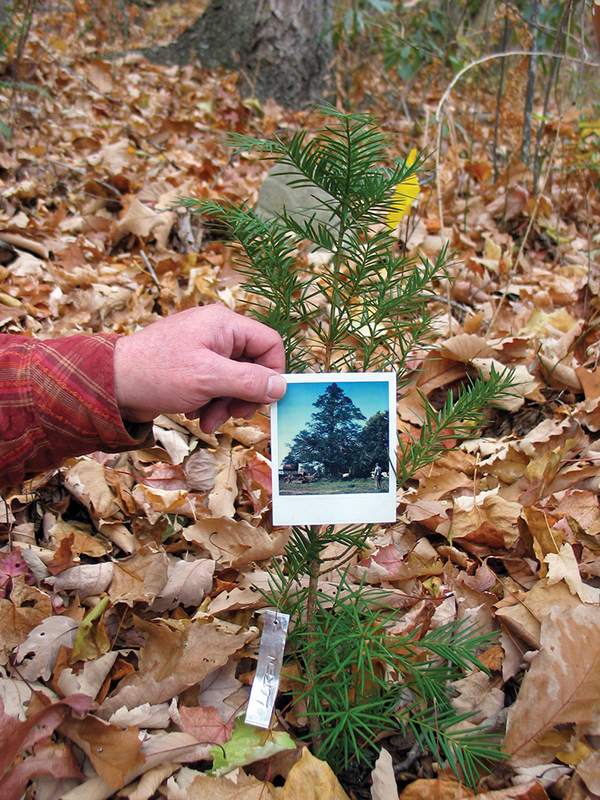 A torreya sapling growing in North Carolina and a photograph of its parent tree. For more than 200 years, naturalists and plant enthusiasts have come to the woods along the Altamaha River in south Georgia, searching for a horticultural holy grail: a wild Franklinia alatamaha, William Bartram’s “lost camellia.” First discovered by the famed naturalists John and William Bartram in 1765 at a single site near Darien, Georgia, and seen only a handful of times since, a wild specimen of the plant was last conclusively identified in 1803. Franklinia is considered extinct in the wild, and the species has survived only in propagation: All living plants are descendants of seeds collected by the Bartrams and grown in their Pennsylvania garden. 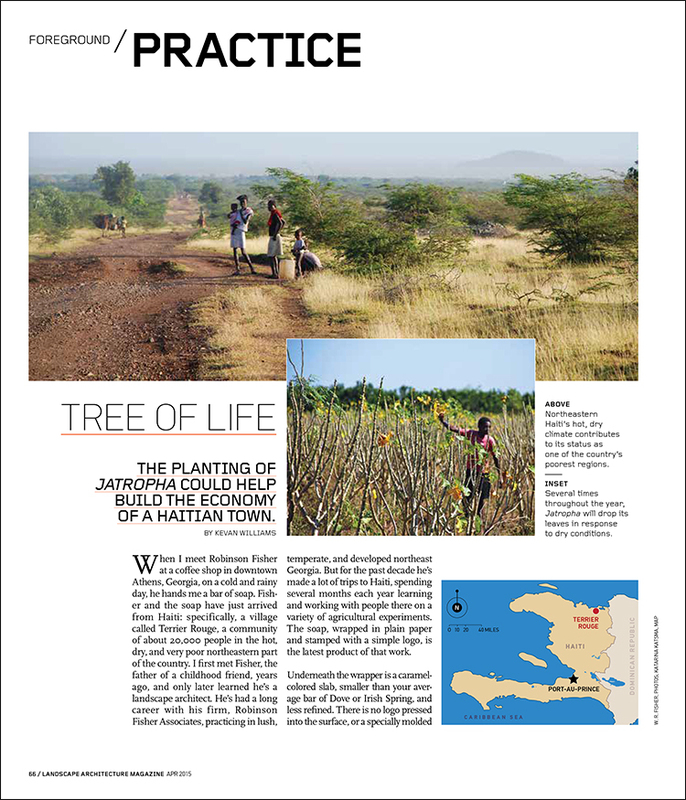 But many aficionados have continued the search for a surviving wild plant, ignoring the seeming finality of extinction. I’m wandering through woods repeating the exercise in the Altamaha Wildlife Management Area, but the Franklinia I’m seeking aren’t wild, as such. They’re an outplanting of two dozen nursery-grown plants, attempted by the staff of the Nature Conservancy to see whether Franklinia could still survive in Georgia. My guides are Alison McGee, the Southeast Georgia conservation manager for the Nature Conservancy, and her husband, Rob Sutter, a conservation ecologist, who lead me down a dusty dirt road to the conservancy’s experiment site. We park near a campground frequented by hog hunters and venture off into the woods, clad in orange. For a couple of hours we wander through a maze of saw palms, searching without success. All the signs seem to be there. There are tattered strands of survey tape hanging from a few of the trees, and machete wounds mark others, but there are no Franklinia. The planting should have had a marker—“That’s the way we usually find rare species these days,” Sutter says—but we can’t find it. Was it kicked over, hidden under the saw palms, or are we looking in the wrong spot? McGee takes home two hog skulls as a consolation prize, signs of one migrant species that seems to be doing well here.